Almost thirteen years after the first flight of the highly successful ASG 29, we are happy to introduce its successor, the AS 33. 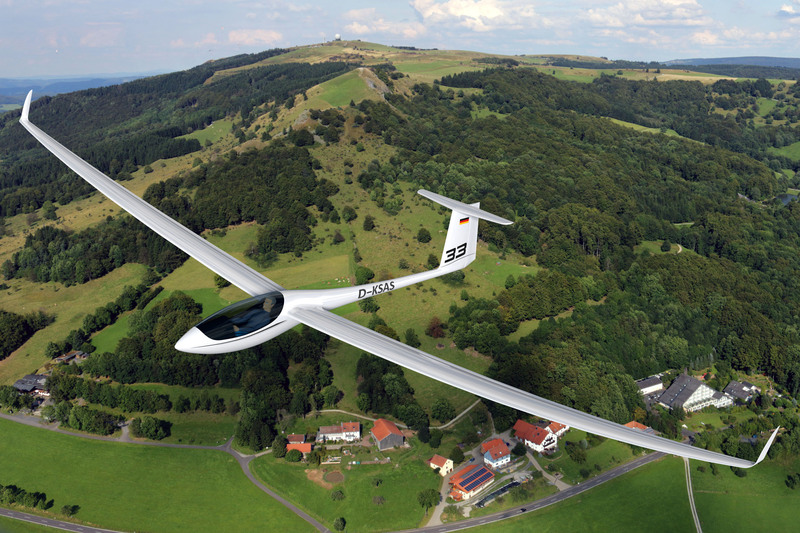 The continuously improved ASG 29 is still a fully competitive 15/18m sailplane in the competition scene. Nevertheless, we have decided on a new design since the latest innovations in the area of aerodynamic simulations show that additional and decisive performance improvements can be achieved. Over countless hours of work using a commercial CFD program our engineers were, among other things, able to optimize the 3D airflow around the fuselage/wing intersection and at the wingtip. 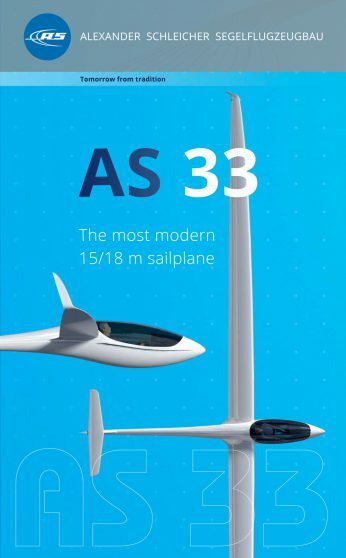 By combining the many years of experience in sailplane construction and the fully developed features of its predecessor, a completely new standard in the 15/18m class has been created. The totally new wing of only 10 sq. meters (18m) permits a very high wingloading thereby achieving maximum performance in the high speed spectrum. New wing profiles based on the latest aerodynamic findings were developed and tested in the wind tunnel. This ensures that the profiles have all the characteristics of modern laminar profiles: very low drag combined with even higher lift while circling and pleasant handling. 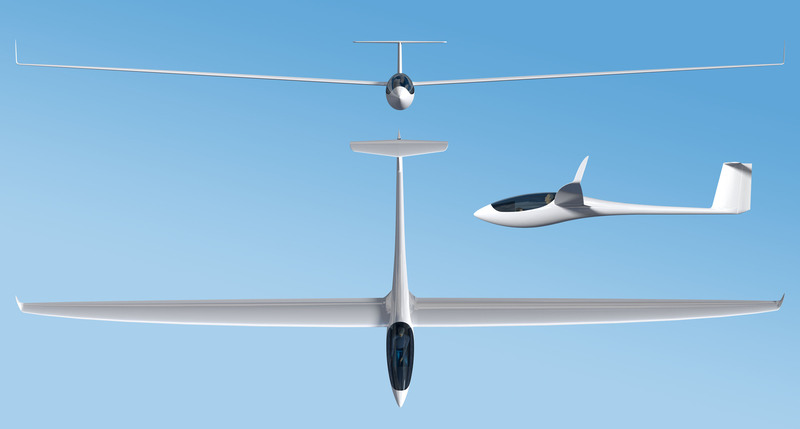 Together with the proven Schleicher-typical harmonized aileron and flap interaction, excellent climb performance is assured even in turbulent thermals. In addition to the very popular 18m version it will again be possible to fly in the FAI racing class with 15m span. 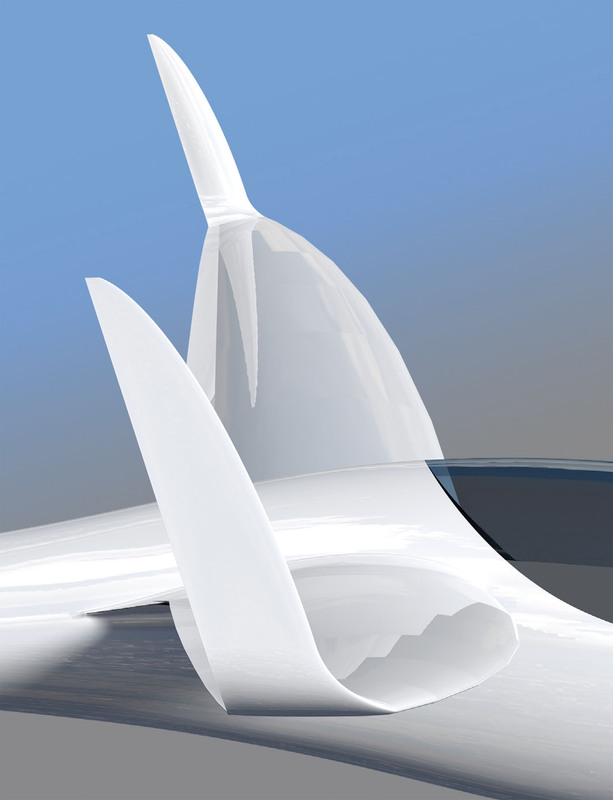 Because of the further inboard halfspan position at 5m, it was possible to achieve a performance optimal wing planform also with the smaller wingspan version. Naturally, the reliable and continually further developed “Es” propulsion system with electric start capability and simplest operating controls will also be available for the AS 33. Many other features of modern sailplanes, for example the safety cockpit, will be integrated into this latest design. Other refinements such as a retractable tail wheel will be available as options. Design and construction subject to change without prior notice.